Posted On February 15, 2017 by Team iCynosure. Atlantic City, New Jersey, has risen from its humble beginnings to become a world-class leisure destination. Today, this resort city is renowned for its casinos, its famous boardwalk, and its pristine beach. 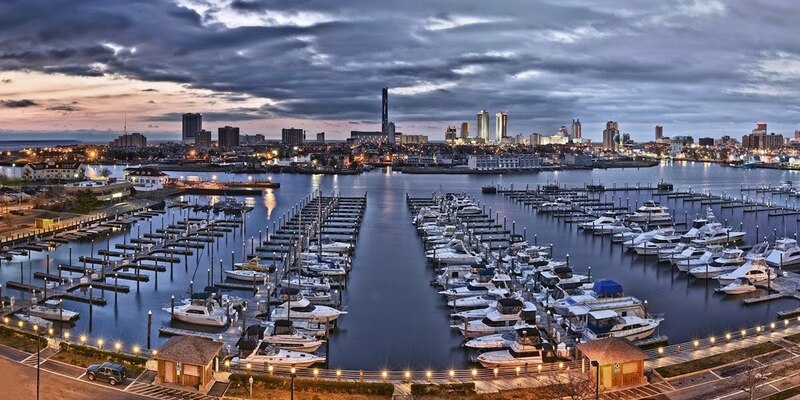 With its old-world charm and its big-city approach, Atlantic City is a must-visit destination for many travellers. Don't miss Atlantic City's fine dine experiences, entertainment options, shopping areas, first-class hotels and resorts, or nightlife. Whether you're a first-time visitor or a frequent traveller, here are a few pointers that will help you plan your trip better. First, check the calendar before your trip. Most hotels and resorts offer discounts all year round to attract guests, but the best time to visit is between March and August. Atlantic City experiences four distinct seasons. The weather throughout the year varies. so make sure that you pack weather-appropriate clothing. In the summer, the humidity warrants light clothing during the day. Pack a sweater for the evening, since the seaside breeze will cause the temperature to drop. Spring and fall bring mild weather, but winters are cold, so travellers should factor in winter wear. As a top destination, Atlantic City offers numerous accommodation options, whether you're travelling for a relaxing weekend, a fun gambling getaway, or a leisurely spa holiday. Book a luxury resort right on the beach, an affordable hotel room along the boardwalk, or a motel to suit your travel needs and budget. It's easy to travel within Atlantic City. Use the four-route public transportation system, which includes jitneys that cost as little as $2.25 per trip. You can also hire personal scooters or opt for taxi services that are easily available and capped at $13 within the city. Don't miss your chance to walk along the boardwalk, as it's the preferred mode of getting around the city. As you book your accommodations, start looking for some fun activities to do in Atlantic City. As an entertainment centre, Atlantic City has an impressive lineup of events and festivals all year long, including Atlantic City Restaurant Week, the Atlantic City Airshow, the Atlantic City Boat Show, and the Atlantic City Marathon. Get to know the city's history by adding some of these top attractions to your itinerary, too. One of the oldest and the tallest lighthouses in the United States, Abscond Lighthouse is open to the public. Climb the 228 steps to take in breathtaking views of the Atlantic City skyline or opt to become the Lighthouse Keeper during an overnight adventure. Historic Boardwalk Hall was built in 1929 to cater to Atlantic City's growing community needs. Also known as Convention Hall and Rendezvous Park, Boardwalk Hall was planned as a self-sufficient, multipurpose event space with exquisite views of the Atlantic Ocean. The 'In the Line of Duty' sculpture serves as a tribute to all of the New Jersey law enforcement officers who have died in the line of duty. This sculpture features a police officer in the image of Jersey City Detective Melvin Santiago, a police dog, and a kneeling firefighter to honour all first responders who have tragically lost their lives. Atlantic City is known as a gaming capital, and it's home to several casinos. Be sure to visit the Borgata and Caesars. The Borgata is known for its 85-table poker room that hosts daily tournaments, while slots are the most popular game at Caesars. So are you game for Atlantic City?